This is the fifth Inspector Montalbano mystery to be thoughtfully translated by Stephen Sartarelli, with the sixth already available in the US and a UK edition planned for next January. 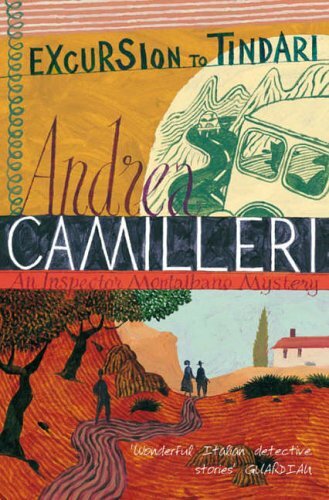 Set in Sicily, Montalbano is a grumpy middle-aged Inspector who runs a small team of officers, some of them more eccentric than others. Two cases present themselves. Firstly the murder, or more accurately assassination, of a young lothario outside his apartment building and secondly, the disappearance of an older couple who kept completely to themselves. The coincidence, or not, is that they lived in the same apartment building as the young man. Montalbano has to consider whether there's a connection or is it merely chance that all the parties involved lived in the same place. Whilst the team investigate, Montalbano also has to outsmart the local Mafia Don and possibly more importantly to him, he has to devise a way to keep his talented second in command from requesting a transfer in order to be with his fiancee. EXCURSION TO TINDARI is a real delight to read. An intriguing mystery which is laced with humour and peppered with meal descriptions, but also reveals the way of life and politics of Sicily. It might sound like a lightweight read but the crimes underneath are very dark, to the point of making Montalbano physically ill. Beautifully and eruditely written, it's imbued with a number of classical and literary references and is further supplemented by 'notes' from the translator on some events in Italian history. It's no surprise that EXCURSION TO TINDARI is on the shortlist for the inaugural 'Duncan Lawrie International Dagger' award.